Come peek inside ICRNY's Window on Third Ave (at 38th Street) to see "4 Alice" written by Saviana Stanescu, designed by Daniela Codarcea Kamiliotis and directed by Ana Margineanu. FREE. Featuring DREAM-eligible undocumented youth Yelky Ramos and Nataly Lopez, and special guests: Thanu Yakupitiyage (DREAM Fellowship Coordinator, New York Immigration Coalition), Carlo Albán (theatre/film artist, author of the autobiographical solo show "Intringulis", about his life as an undocumented immigrant), Marcy Arlin (artistic director of Obie-winner Immigrant Theater Project, CUNY professor), Meiyin Wang (associate producer of "Under the Radar" Festival and Symposium in New York). 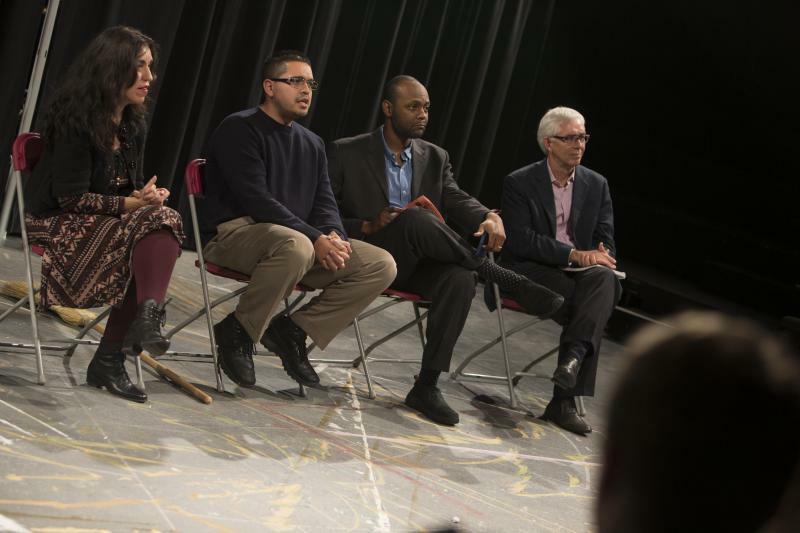 Moderated by playwright Saviana Stanescu. DID YOU MISS THESE RECENT SHOWS ? 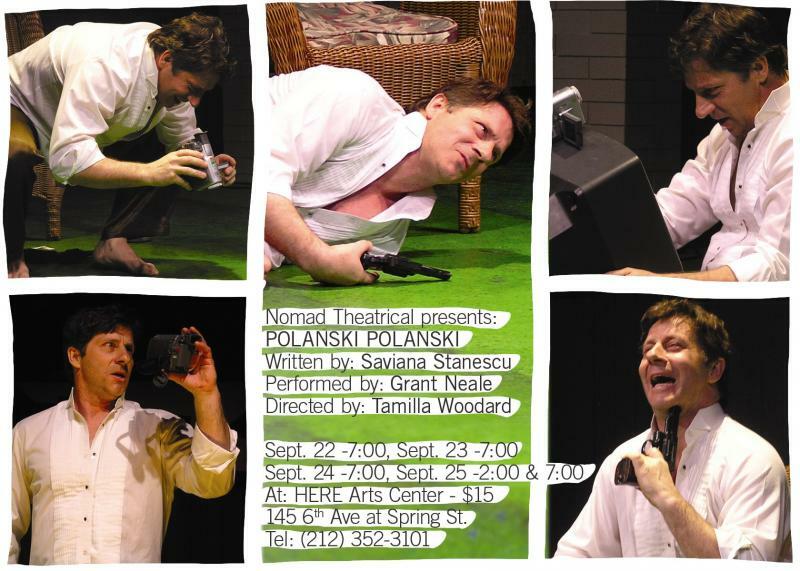 POLANSKI POLANSKI in SoloNOVA Festival - New York !!! In 1977 the legendary filmmaker Roman Polanski was arrested on molestation charges, plead guilty to one of seven counts related to his actions with a 13 year old girl in Los Angeles, he was remanded to Chino prison for a 90 day psychological evaluation and released after 42 days. After determining that he could not trust the judge in his case, Polanski fled the U.S. in 1978. He was once again arrested 31 years later in Switzerland. After spending two months in jail he was allowed to wait out extradition proceedings under house arrest in his Swiss Chalet. The Nature of being a Nomad is to be in quest of something and our quest in the creation of POLANSKI POLANSKI is to coax the psycho-emotional workings of a complex mind from the level of the unconscious to the active level of the conscious (through our fictional account of three key threshold moments in Polanski’s life), just as this filmmaker often does successfully in his own work. 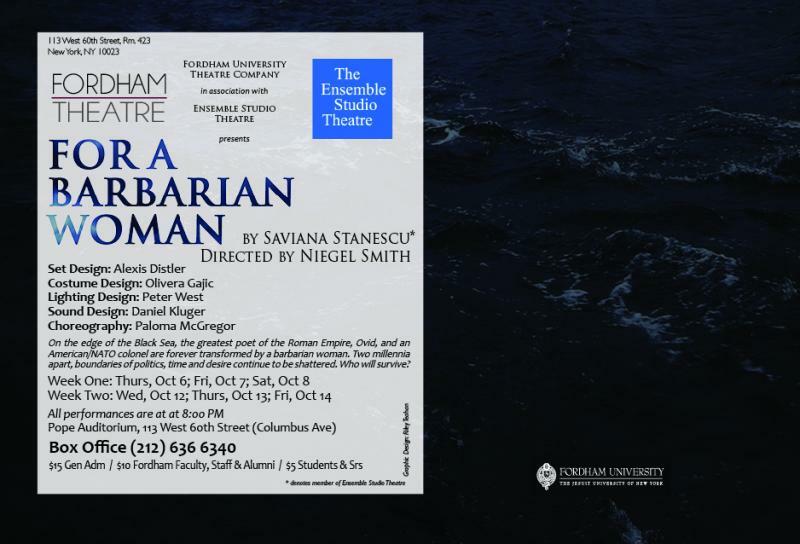 This play is in no way a docudrama, and is not particularly interested in the judgment of right and wrong, except in so far as how the individual himself allows himself to commit, wrestles with, and judges his own actions. Please join us at HERE!!! Saviana was a college student in 1989 when she participated in the Romanian "revolution" and the so-called "end of communism". Now, after almost 20 years she witnesses the so-called "end of capitalism" in New York. This autobiographical performative lecture explores her immigrant experience in New York through the lens of a personal dichotomy East-West and a permanent negotiation between the old and new set of values. After 1989, Saviana worked as a journalist in the new free Romanian press for a decade. A week before 9/11 she arrived in New York, with a Fulbright fellowship to get an MA in Performance Studies at NYU. She also got an MFA in Dramatic Writing from NYU's Tisch School of the Arts and she teaches in the Drama Department. Her plays have had many productions in NYC and internationally. 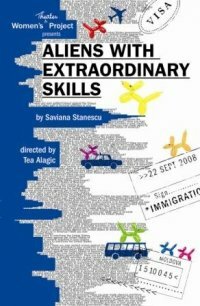 Most recently her play "Aliens with extraordinary skills" (the title hints to her O1 visa...) opened to rave reviews off-Broadway at Women's Project. 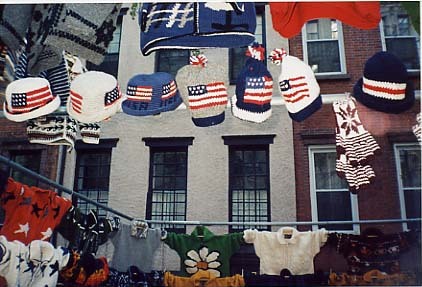 One of the main issues to be discussed in this lecture is what role does the flag perform in creating and maintaining identity (with a powerpoint presentation of over 100 pictures of the American flag displayed in the aftermath of 9/11). Another important question for Saviana is: did she do the right thing by leaving her home country Romania? Is she now inhabiting a new land called INBETWEEN? "Moving" into the English language was the right move? And what's right after all when a (r)evolution can change preconceived definitions of "right" and "wrong"? With Shirine Babb, Seth Fisher, Gian-Murray Gianino, Kevin Isola, Natalia Payne and Jessica Pimentel. Internationally-acclaimed Romanian playwright, poet, and journalist Saviana Stanescu brings us a dark comedy about a clown from the unhappiest country in the world, Moldova, who pins her hopes on a US work visa by creating balloon animals. Chased by Homeland Security, a deportation letter deflates her enthusiasm, and a pair of spike heels might be all it takes to burst her American Dream.